This entry was posted in Anglican, Random on August 24, 2007 by Derek A. Olsen. Well, if only we could be having communiques about prayer. Or even fighting about prayer would be preferrable. That will be the day. Maybe you should keep writing articles like the one you wrote last week. The Pope is permitting Roman Catholics to use older liturgical rites (the Missal of Pope Blessed John XXIII from 1962). You mentioned GC 2000’s Resolution B-042. Do you think that more clergy should permit the use of the 1928 BCP? I think it would be positive if TEC parishes allowed more liturgical freedom to use old rites (and experimental new ones, too) under the guidance of the bishop and with her permission? I admire the Pope’s consideration of Catholics who are attached to older liturgies. I think we could use some of that same pastoral consideration, too. I would love to read some of your ”boilerplate” regarding Resolution B-042. It’s really not up to the clergy–it’s up to the bishops. They’re in charge who what rites can and can’t be used in their dioceses. Personally, I think that the main Sunday service of any given parish should be a Eucharist from the ’79 BCP, either Rite I or II. 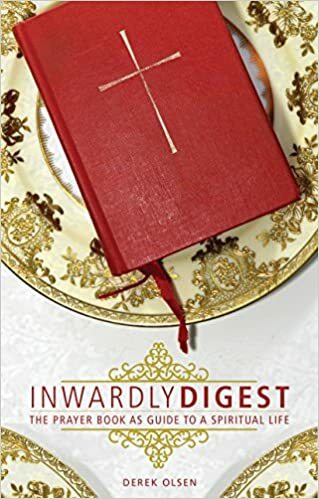 Beyond that, the parish should be able to use any previously ratified Anglican books or accepted alternatives like EOW…or the American Missal…if they meet the ethos of that congregation. Maybe I could retain your services as ghostwriter on my blog? I can’t seem to find the time, and you really are good at this. Pay? Well, I think that a job well done is reward itself…hello? Hello?